TVS Radeon challenges Hero Splendor, Bajaj Platina 110, and other 100-110cc bikes in the sub-Rs 60,000 range. Read our review here. Commuters in India have plenty of options, from bikes to cars and even public transportation such as the Metro and buses. But economical bikes are close to most commuters' heart as they are light on the pocket, both in maintenance and purchase. 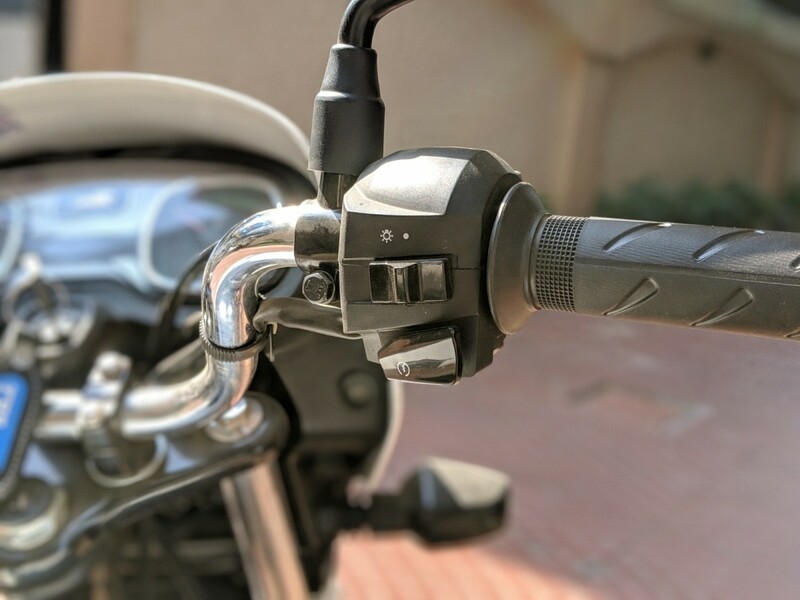 Targeted towards the masses, TVS launched its Radeon 110cc bike in India last August and it is proving to be a solid commuter. 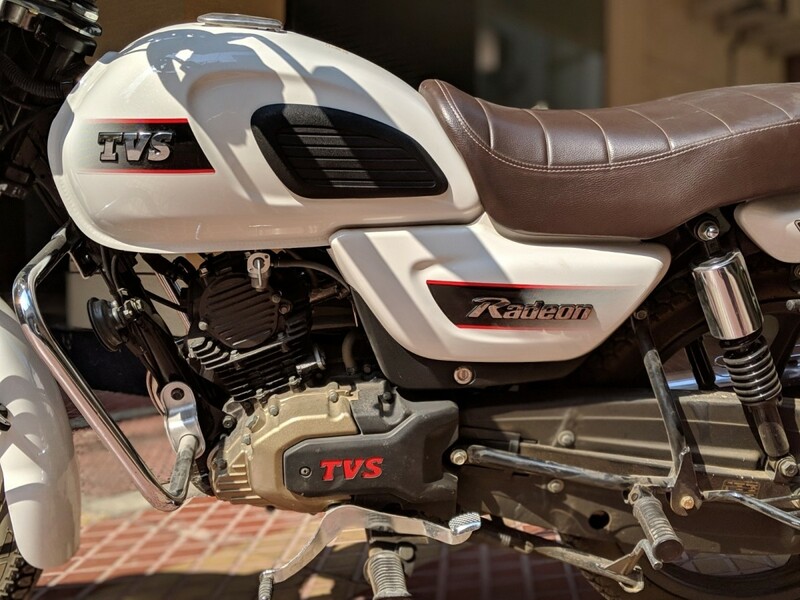 TVS Radeon is priced Rs 48,990 (ex-showroom) and takes the challenge to popular choices like Hero Splendor Plus, Bajaj Platina 110 and other 100-110cc bikes in India. 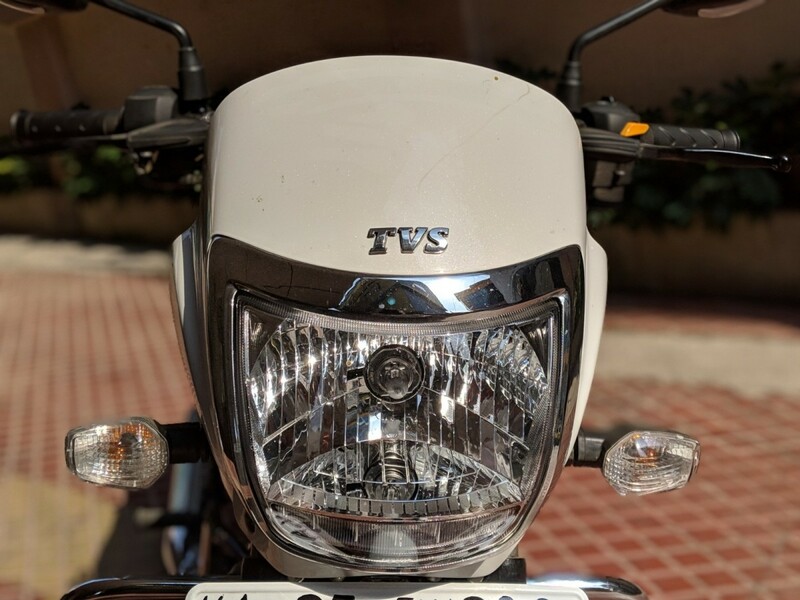 TVS' strategy seems to have paid off as the company just crossed 1 lakh sales of the affordable commuter in the country as of February 2019. With an average of 15,000 units per month, TVS Radeon falls far behind Hero Splendor, which stands at 2 lakh units per month, but there are years of trust and faith under Hero's belt. Is TVS Radeon worth questioning your loyalty towards Hero Splendor? I decided to find the answer to that by taking the Radeon on a road test and the results were not disappointing. TVS Radeon is not the kind of bike you'll fall in love with at first sight. 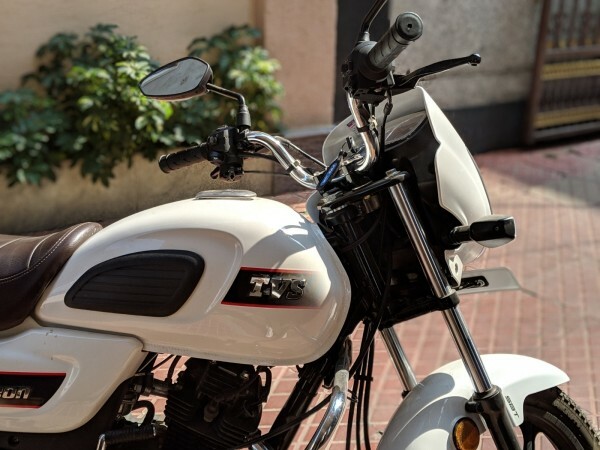 But it's surely refreshing to see a mix of classic and a bit of modern look fused into the bike to make it more appealing than the current choices. The minimalistic look of the Radeon drew some attention, mainly for its bold colour choice of white hue, chrome and gold coloured touches here and there, a tan brown seat, fuel tank pads on the sides and LED DLRs. Overall, I was impressed by the design of TVS Radeon. Even though it didn't stand out in the crowd, it's a safe design choice TVS went with to prevent a backfire. Good job there. This is the biggest question and holds a heavy place in the customer's buying decision. 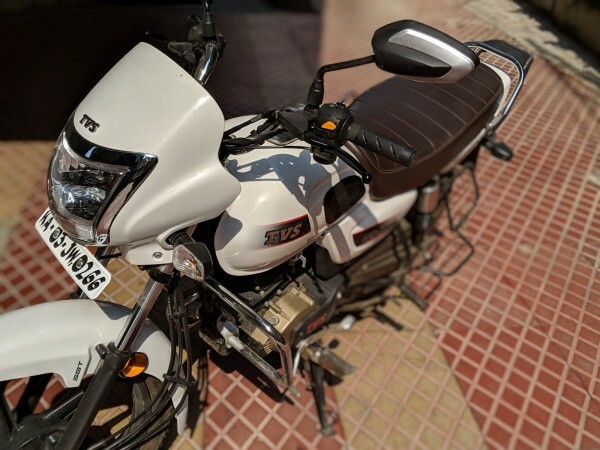 TVS promises 69.3kmpl for Radeon, but my review showed it was quite humble of the bike maker to underplay the mileage. 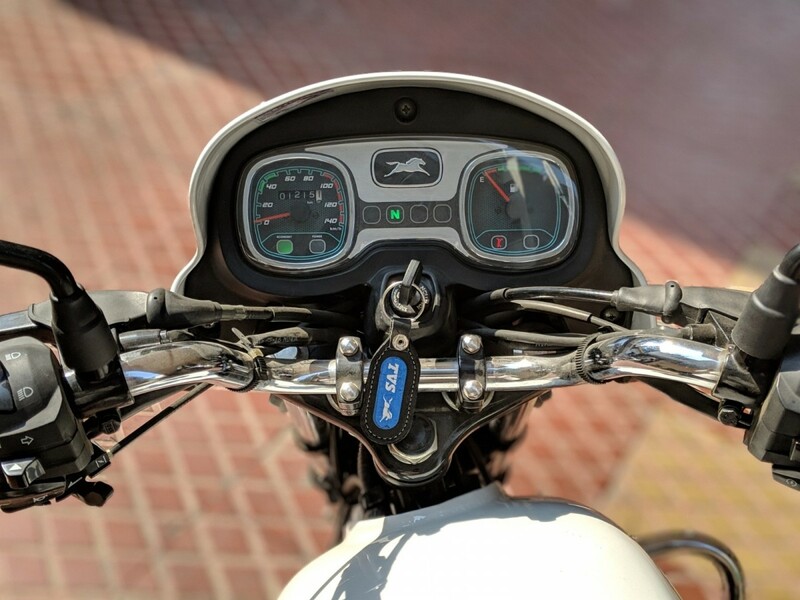 There are Eco and Turbo indicators on the bike and as long as you ride in Eco (the green light), your bike's mileage will impress you. 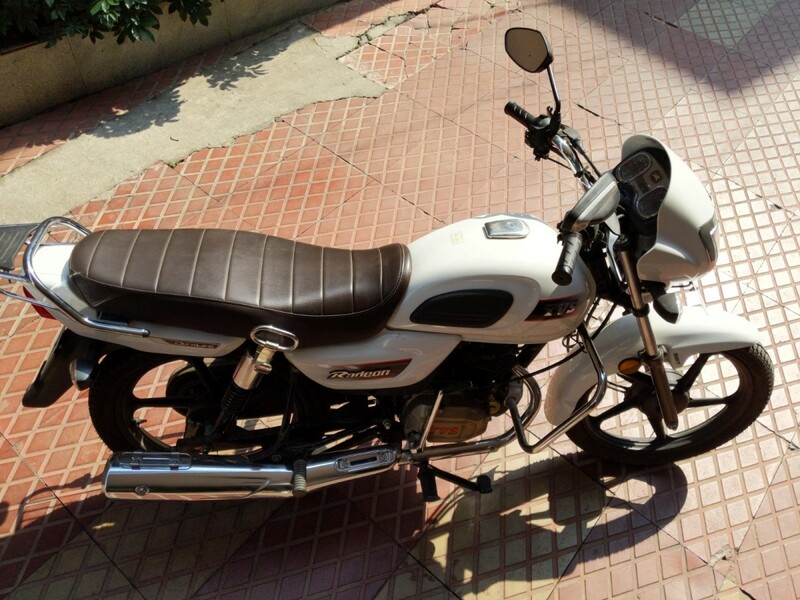 Riding in about 50-60kmph gives about 75kmpl mileage, which is quite good. But the moment you decide to go fast, cruising at over 60kmph and exercising your wrist on the accelerator, expect the mileage to drop by 10kmpl. The 10-litre tank on the Radeon makes sure your visit to the petrol bunk isn't as frequent as on a scooter. Giving a range of about 700kms, Radeon will let you keep cruising to and back from work without having to stop for fuel for weeks. This has to be the strongest USP of Radeon. 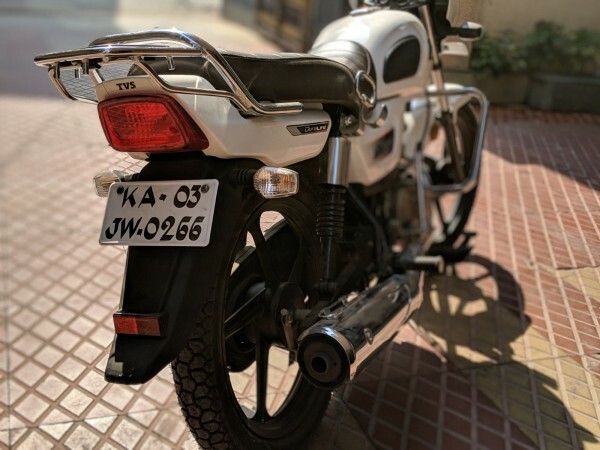 TVS Radeon is an economical bike, with little focus on the performance aspect. But when I tried to hit top speeds, Radeon struggled to cross 80kmph and failed to go beyond 85kmph. But this has been the case with most 100-110cc bikes. TVS Radeon makes up for the limited speed by offering agility and a decent initial pickup. As strong as Radeon's mileage and styling are, I was unimpressed by the braking. The rear 110mm drum brake did little to stop or slow down the bike at 50-60kmph speeds. 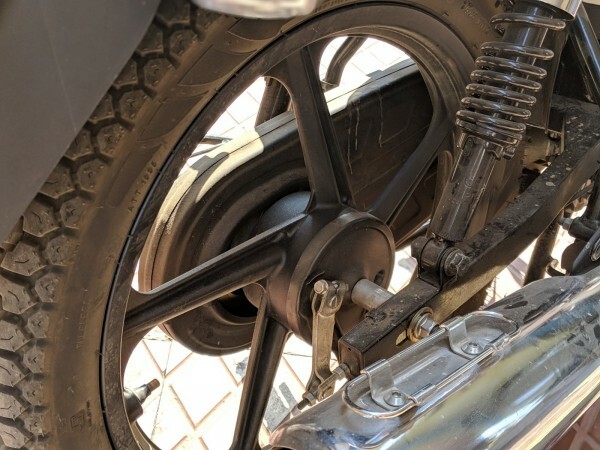 Often, I had to rely on the 130mm front drum brakes, which shouldn't be the case in bikes as they can easily cause misbalance on muddy or slippery roads. Adding disc brakes are a certainly stretching too far, but TVS could have offered it as optional for those who can pay for it. For someone used to hitting high speeds, the braking is something they should be vigilant of. The handling aspect is just the opposite. The Radeon feels like and it is great on corners. The 18-inch alloys are certainly great for cutting corners and even sliding, which is ideal for zipping through traffic jams. The single-piece raised bar is standard and doesn't create much strain on shoulders. I rode the bike daily for about 2 hours and didn't feel any exhaustion. The comfortable cushion is to thank for that comfort as well. But I wouldn't be taking the bike on long rides as it can easily get tiring, due to the bike's struggle at higher speeds and firm suspension. I would pick Radeon for city rides, and daily office commutes. TVS Radeon packs several extras, which could convince buyers who are doubtful of purchasing the bike. But the most annoying feature I found in the Radeon was the side-stand indicator. 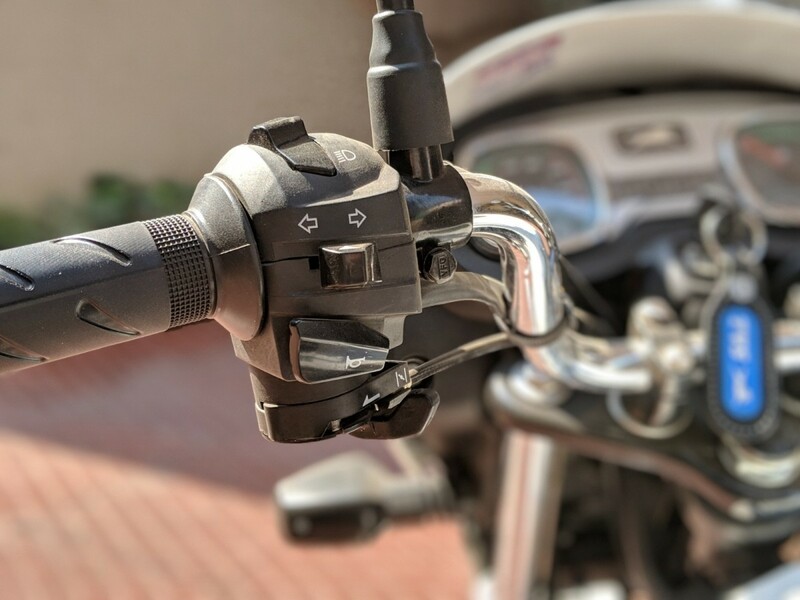 It's a good addition and surely a great safety feature, but the continuous high-pitch beep when you turn the ignition on without lifting the side stand can be annoying. I single beep instead could do just fine. 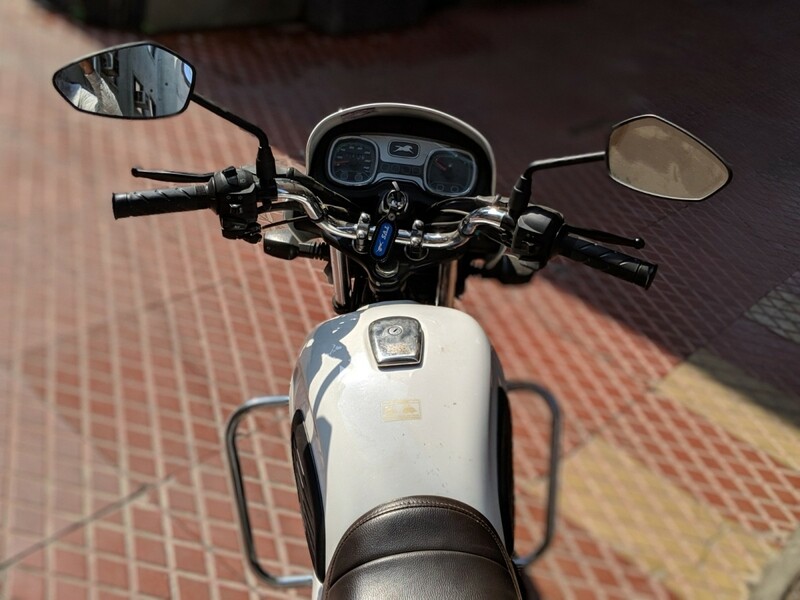 The LED DLRs, luggage holder at the side of the seat, a tiny luggage carrier at the back, odometer, fuel indicator when the tank is nearly empty, black alloys, and more make the Radeon a solid competitor in its space. TVS Radeon is a solid choice for those who are looking for an economical and efficient bike on a budget. Hero Splendor is also a sound option, but Radeon is a refreshing choice for those who want something new. Do not judge the Radeon by its cover as there's more to it than meets the eye.